Workshop Interview: Kristen Caissie of Moon Canyon Design. 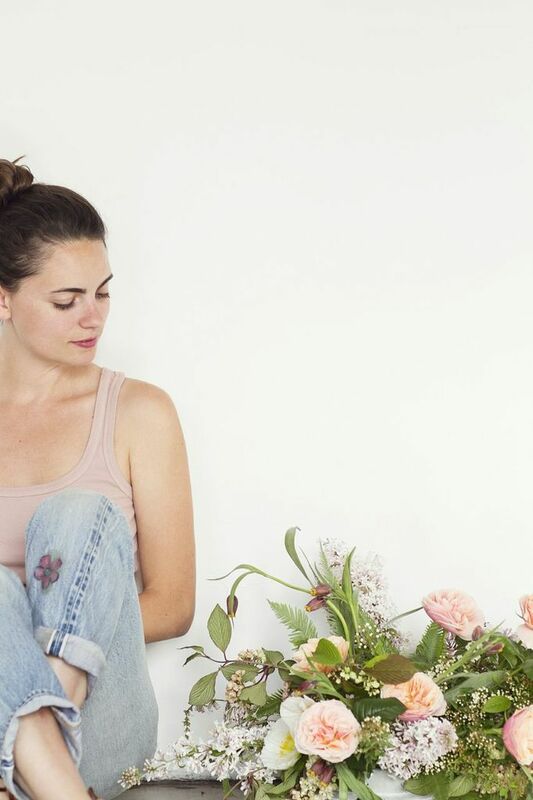 Wildly beautiful, lush and dreamy – Moon Canyon’s floral arrangements are like works of art, evocative of nature’s untouched beauty. 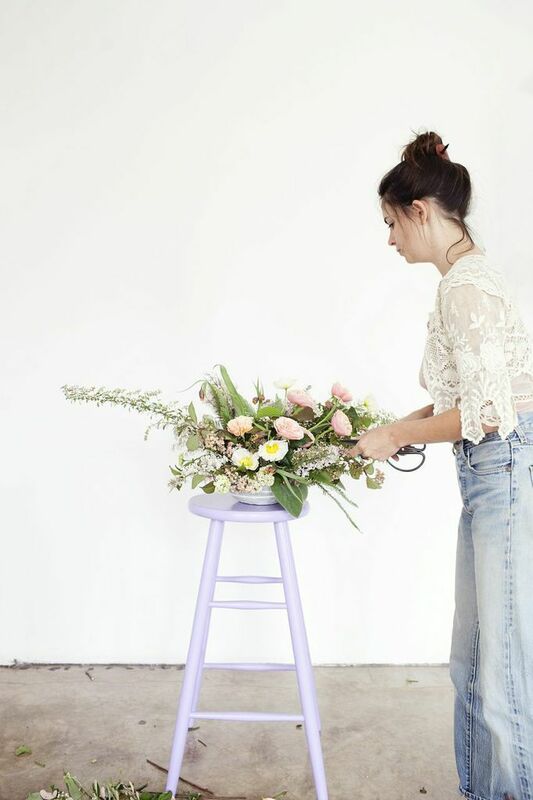 This Sunday, Kristen Caissie of Moon Canyon Design will be leading the Floral Arrangement Workshop at Poketo, showing students how to make floral arrangements and headbands using locally sourced summer blooms. Today, Kristen shares with us about her love for flowers and tips for making your own arrangements for your home. 1. 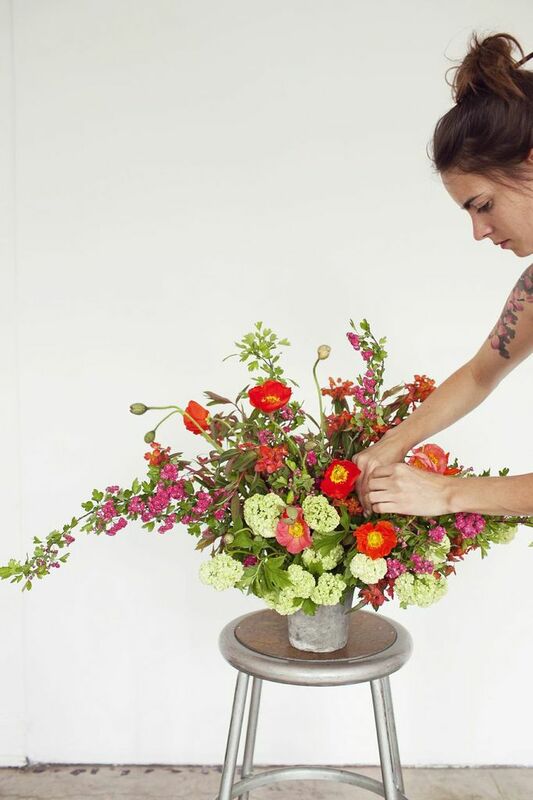 How did you get started in floral arrangement and design? I was super duper fortunate to have walked into an amazing flower shop while studying in Boston. They were hiring and I needed a part time job. The fortunate part was that the shop was very high end and design oriented. This sort of started my appreciation for floral design as a real art form. I am so grateful to the designers that have taken the time to teach me the craft. 2. How did Moon Canyon Design come about? Well I always sort of knew I wanted to create a “place” where my creativity had freedom to roam. Moon Canyon came out of that desire to explore whatever it is I fancy! Its been a real journey turning what I love into something others can actually see and take home with them. 3. What are the essential things to consider when putting together an arrangement for the home? The vessel is key! I’m usually inspired by what it is that i will actually put the flowers in and let that be my guide. You can always work the other way around but for me I’m inspired by vases and containers. 4. What inspires your creations? Oh lots of different things! Seasons probably play the biggest role. It’s up to nature what it is I will actually be using to create. Because of that fact my tastes, color palette, and aesthetic are forever changing. For instance right now its the beginning of summer and I cannot help but want to create full and lush bouquets of wildflowers, grasses and herbs. That’s what we will be working with in the workshop! I can’t wait!! 5. 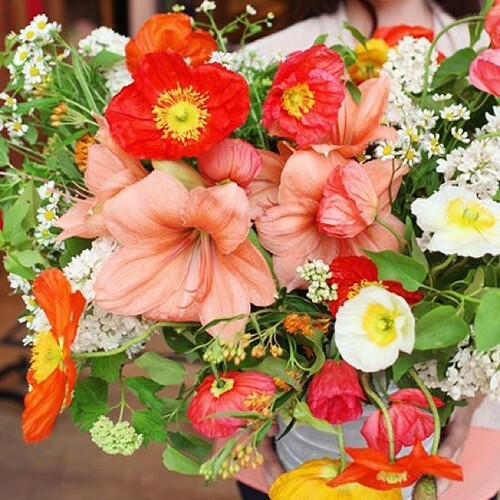 How do you pick the flowers that go into each arrangement? What is the design process like? Sometimes a client asks for a specific flower of color story and so I work with that…adding my own touch of course. Other times I use what I’m inspired by at the market or what’s in season. 6. Do you have a signature style when putting together an arrangement? I’m not sure if I do have a signature style. I still feel like my style is evolving and growing. My look seems to be a bit wild and I’m into that. I adore foliage/greenery and so I would say my arrangements are typically full of different textures. There are so many times where I only want to use herbs and greens. I love the monochromatic tones and mixed textures. 7. What flowers are you into right now? All the summer blooms are so delicate and beautiful. I’m loving the columbine, dahlias, lupine, scabiosa, peonies, and geranium. 8. Are there certain types of flowers that work better for headbands? But if you wanted to make a crown that lasted a few hours I would recommend spray rose, lisianthus, wax flower or ranunculus. 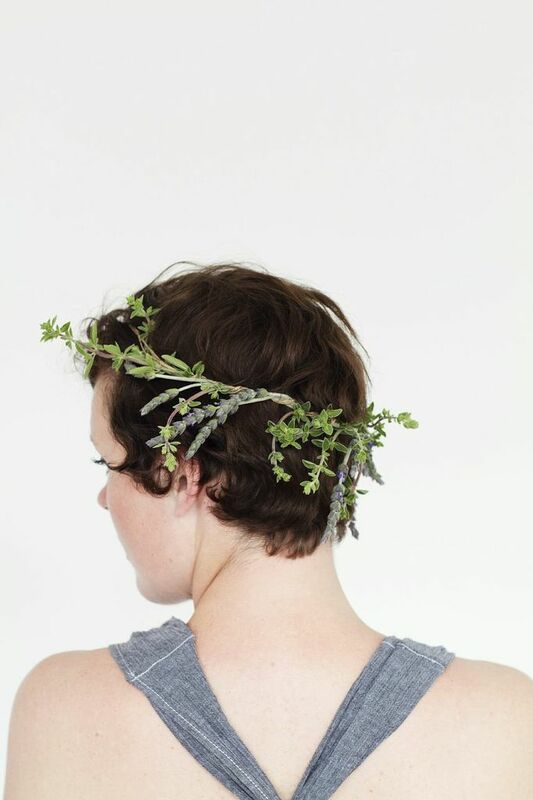 If you want to make a crown that lasts forever use pretty dried flowers like straw flower, yarrow, or lavender. 9. What occasions would be perfect for wearing floral headbands? Well I think any day is a good enough occasion for wearing flowers in your hair. But a birthday, bridal shower, or wedding is also a wonderful day to adorn yourself with flowers. Herbs. I adore all types of herbs. I love using them in arrangements. 11. Other than working with flowers, are you into other kinds of crafting? I used to do a lot more crafting than I do now…but yes! 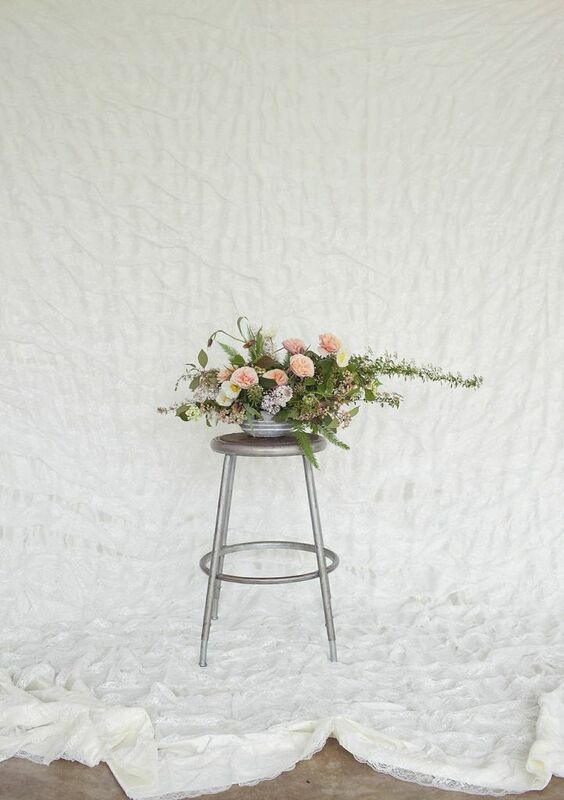 My background is in prop styling and so i can get pretty crafty. I really love needlepoint and crocheting. 12. Can you share with us some of your favorite arrangements and why you love them? This arrangement is a goodie because I almost never use bright colors like this..ha! It’s a practice in bright! I really like the asymmetry of this arrangement. Long legs of spirea reaching out of the bowl and the delicate fritillaria popping up. This is very me….delicate, pale and a bit wild.